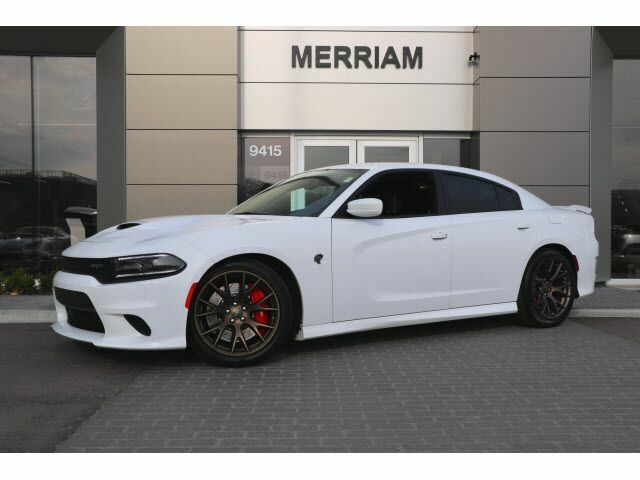 2017 Charger SRT Hellcat local 1-owner trade-in, clean inside and out, clean Carfax. Very nicely optioned with: SRT tuned Bilstein 3-mode competitive suspension, configurable drive modes, anti-spin differential rear axle, Brembo High Performance Brakes, Keyless Enter 'n Go, remote start, GPS Navigation, parksense rear park assist system, parkview rear back up camera, blind spot and cross path detection, heated and ventilated front seats, heated rear seats, heated steering wheel, voice command with bluetooth, Apple Carplay, Google Android Auto, Sirius XM, 20 inch wheels, Bi-Function HID Projector Headlamps, and More! Please Contact Brian Stacy 1-855-979-0255 to Test Drive Today! Aristocrat Motors, Kansas City's premier luxury dealer strives for the highest levels of customer service. Voted "Best in Business" by the readers of Ingram's magazine, our customers are our number one priority.